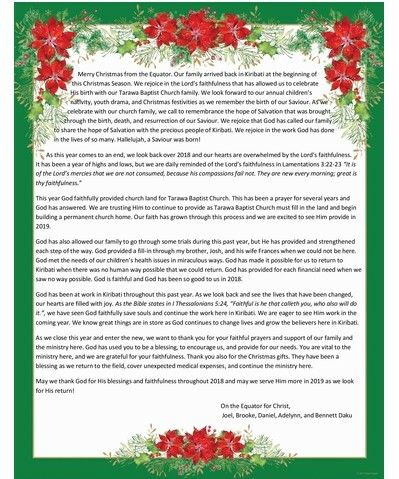 We are so excited to let everyone know what the Lord has done and is doing for us. The Bible states, "Faithful is He that calleth you, who also will do it." (I Thess. 5:24) We just received word from Adelynn's doctor that here lab work is all were it needs to be. We also had a good appointment with Bennett's doctor a few weeks ago. 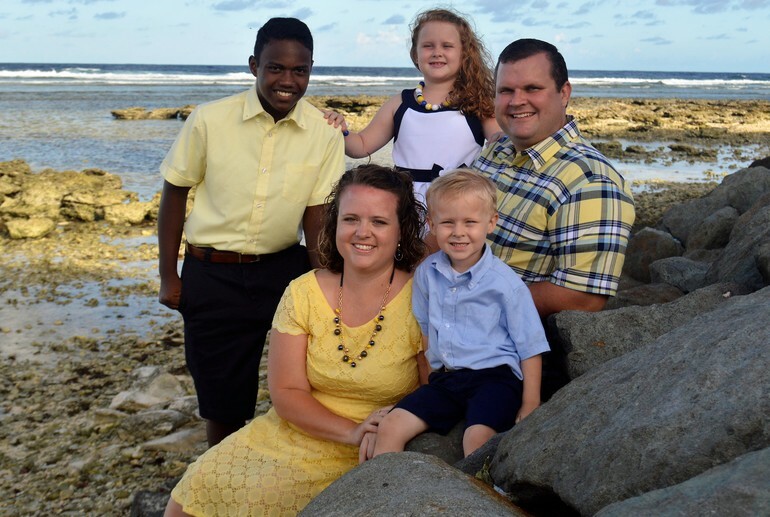 The Lord used his doctor to get us 8 months of medical supplies to treat his chronic asthma. This was all crucial to us being able to return to the field. God answers prayer! 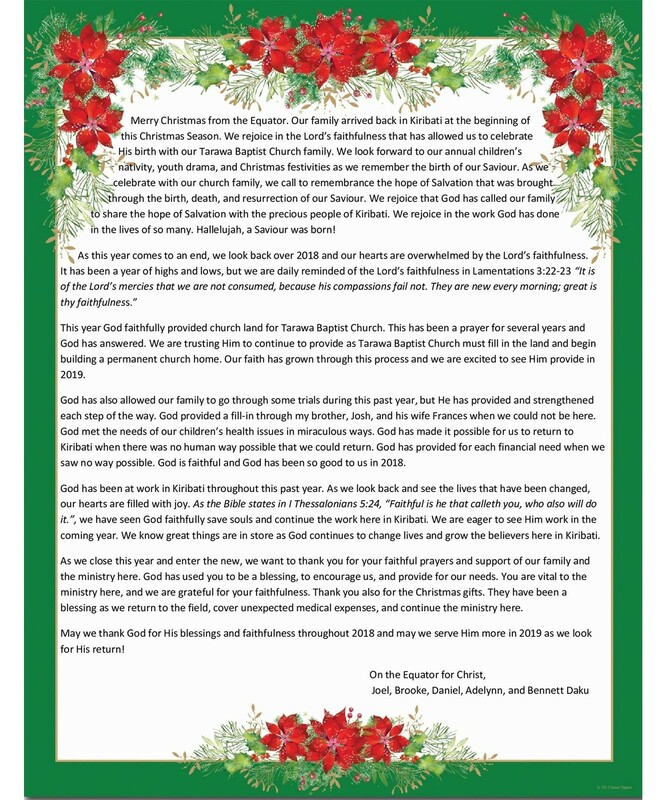 Thank you for all of you who have prayed with us through these medical challenges this year. We give all the glory to the Lord! We are all excited to return to our Kiribati home to continue His work in the islands. 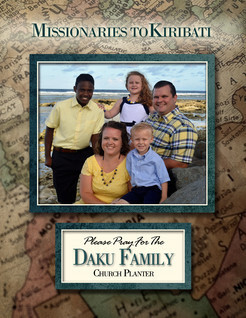 Please continue to pray with us as these medical conditions seem to be long term. We need the Lord's wisdom and provision in the days again. Also please pray as we are busy getting last minute things done to leave next Monday the 19th. We fly out of Nashville at 4:00 PM arriving in Los Angeles at 7:00 PM. They we fly out to Fiji that night at 9:30 PM arriving in Nadi, Fiji at 6:00 AM Wednesday the 21st. Pray that we will be able to fit everything in our luggage and that our flights and travels will go smoothly as possible. We will then spend a week in Fiji with my family. We will have a Jet lagged Thanksgiving and be a part of my Brother Josh's ordination that Friday. 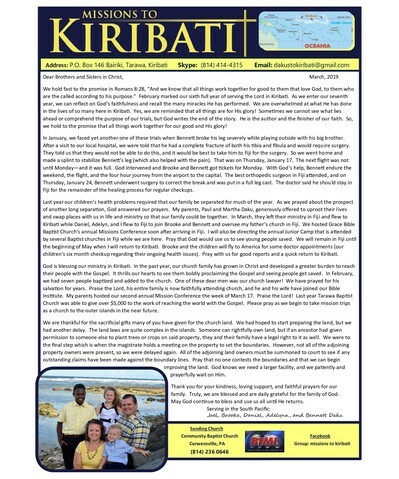 Then on the 29th of November we will arrive home to Kiribati. Again thank you for being with us through all these trials and situations in our family this year. Our faith has grown and we have learned to be more content in our lives. 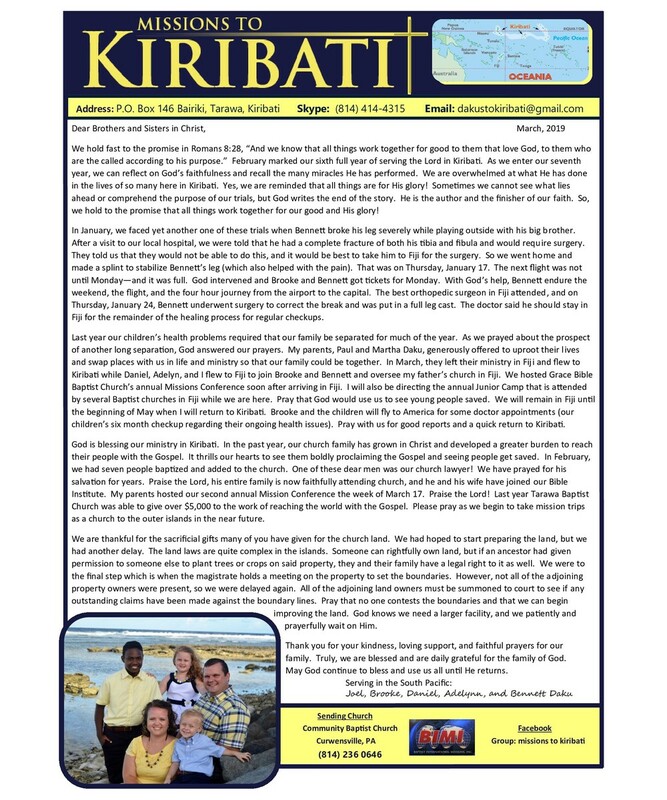 We look forward to what the Lord has planned for us in the ministry He has called us to in Kiribati. Joel, Brooke, Daniel, Adelynn, and Bennett. P.S. Today is Adelynn's 9th birthday! She said that was her best gift to be able to return home!